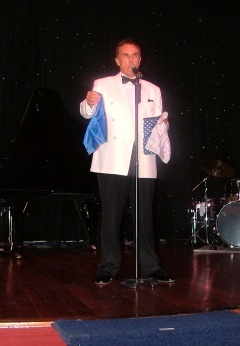 "Mel has performed his comedy Cabaret Showtime here on The Saga Rose. He is extremely versatile, providing a combination of comedy and magic. The shows have involved audience participation which has been well received by all the passengers. The act is very professional and I look forward to Mel returning to The Saga Rose in the future." Mel has just been re-booked for part of the World Cruise on the Saga Rose and will be visiting New Zealand and Australia with his comedy magic show. Mel Harvey recently cruised the Alaskan glaciers and frontier towns including Kodiak, Haines and Homer plus a visit to Victoria and Vancouver in Canada. 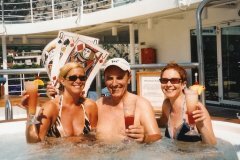 That cruise was Mel’s first cruise with the top cruise line Silversea on their six star liner "The Silver Shadow". 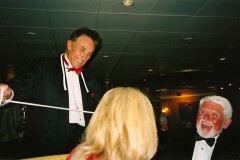 During the cruise, which attracted passengers from Australia, America, Switzerland and the U.K., Mel performed a number of 40 minute comedy evening shows plus appearing on "The Liars Club", compering a full evening’s variety show and supplying close-up magic for the cocktail hour. 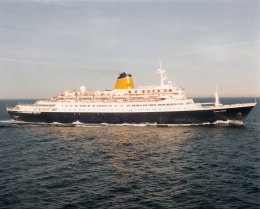 Mel had only been home a week when a re-booking with Silversea came through this time for another liner in the fleet "The Silver Wind". Mel will be off again shortly on a trip from Messina to Venice. "I have worked with Mel Harvey onboard Silver Shadow. 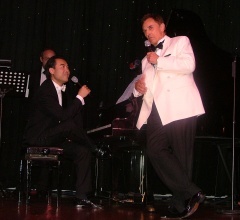 His shows are excellent and the guests onboard loved them. Apart from being a very good entertainer he is a team player which when working at sea is very important. Mel does a very good "Close-up magic" show, which is great in the bar on a cocktail hour. I have no problems in asking Mel to work for us again; I only hope that it is very soon." Judie Abbott. This is what Colin Brown (cruise director on the Silver Wind) had to say about Mel's work on the Italian cruise. 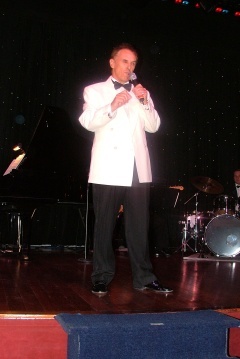 Mel Harvey has just completed a contract on board the luxury Cruise Ship Silver Wind. Mr Harvey has been a great success on board. Considering there was a strong mix of both American and British Guests on board, this is a tremendous achievement. Guests loved his style of comedy interspersed with his very fine magic and illusion. Individually guests were quite charmed by his art of prestidigitation, which he presented at tables in the lounges, by the pool and at dinner. Many commented on his warm and friendly disposition. Mr Harvey is a tremendous asset to Silversea Cruises and certainly is welcome back at any time. On some cruises Mel gets a day off!